For a lot of people, making iced tea is a simple affair especially if you just use the powdered variety. 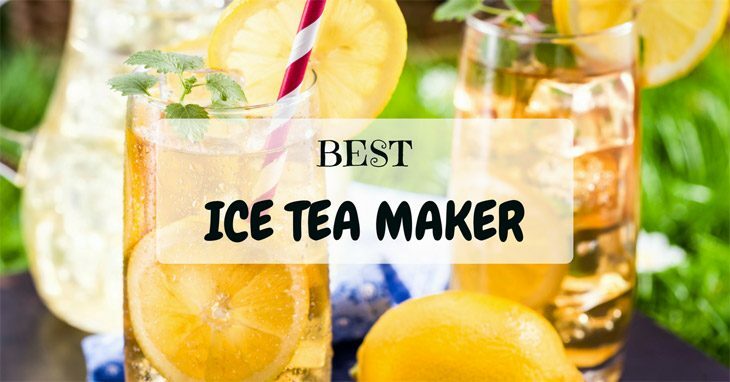 However, if you’re like me, you know that it’s not as simple as that, so getting the best iced tea maker is very important. The quality of your tea greatly depends on how great your iced tea maker. It’s almost summer time and if you’re like me there’s nothing that can cool you down unlike a fresh glass of iced tea. This drink is a whole lot healthier than soda and it’ll still give you that boost of caffeine. It can also be a good alternative to hot coffee in the morning. This Kona coffee and tea maker is a great choice for those who want something flexible and multi-functional. You can basically get french press coffee and tea with just a single item. 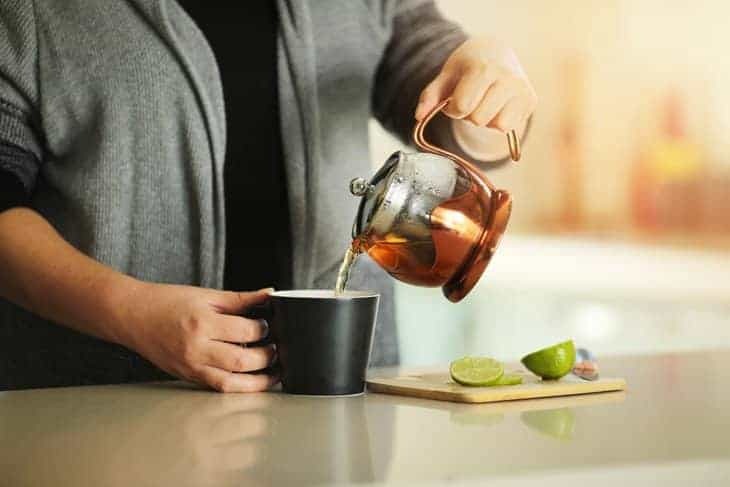 This product also allows you to make both hot and cold drinks so you can use this both during those hot summer days and for cold winter nights.Another great thing about this is that it is very durable and comfortable to use. The black protective cover over the glass carafe is not just there for aesthetics but it actually protects it from breaking. While I was using this I also found it to be very comfortable to use and I didn’t have to strain my hands while pouring a glass of my tea. You can bring this on camping trips and when you’re outdoors since it is very light and portable. It is also eco-friendly and has a stylish look. Unlike some machines, it doesn’t make any noise when you’re using it. It is very comfortable to use and it didn’t make my finger hurt or get tired while using it. It has a filter but it sometimes still lets tea leaves and coffee grinds to flow to your cup or glass. If you accidentally dropped it and the glass carafe broke, it’s almost impossible to replace it. I stumbled upon this Mr. Coffee 2-in-1 iced tea maker when I was looking for a tea maker that I can use both lose leaves and tea bags with. What initially caught my eye with this product is the brand. Mr. Coffee has been around for years and their products have always been highly rated online. This iced tea maker did not disappoint at all. It’s perfect for those like me who are a bit impatient since it can brew 2.5 quarts per minute. The overall look is stylish and very durable. However, it’s not as portable as the one from Kona since the glass carafe is separate from the machine. It allows you to brew your tea very quickly. You can use both tea bags and loose tea leaves when brewing your tea so you have more choices. It has an auto shutoff function so more wasting electricity and there would also be less chances of overheating. You can choose the strength of the flavor or your tea. It’s not portable so I needed to buy a separate maker for when my family and I are outdoors. After using it for a couple of months, the plastic lid broke since it was made of flimsy material. If you’re looking for a cheaper alternative but still want to get something from Mr. Coffee, then this is the best choice for you. 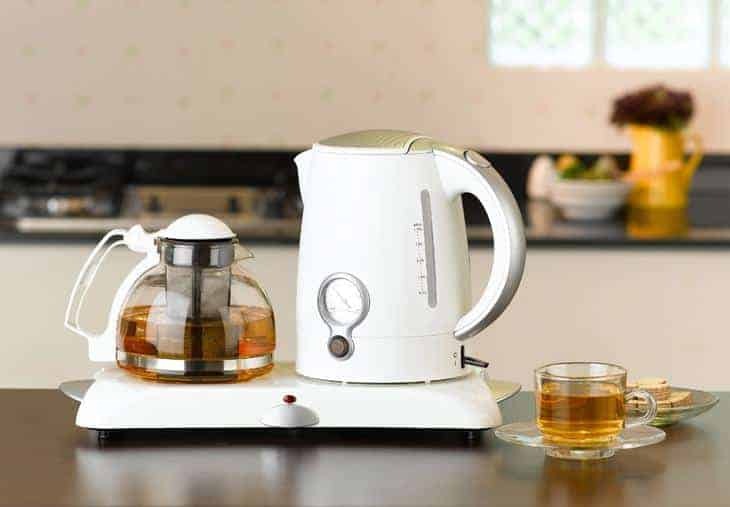 It has a lower capacity compared to the other model but it’s still able to brew both tea bags and loose tea leaves. You can also make both iced tea and iced coffee with this product. A unique feature found in this maker is that it has a programmed cleaning system so you won’t have to be hassled about cleaning it. It has single and double serving options. This is also dishwasher safe and has a programmed cleaning system. The lid doesn’t attach to the glass carafe well so there are spills sometimes. Sometimes you would need to brew the tea twice just to get the best results. It has plastic pieces which broke after just months of uses. If you don’t mind spending more than a couple of bucks then this Breville might just be the thing for you. It’s 100% automatic. You can even set your brewing time so you’ll wake up to the nice smell of tea. It also has a 60-minute keep warm feature which is a great additional feature for those living in colder areas. Since it is fully automated, you may even set the temperature to what you like. It is completely automatic making it a great investment for those who are always on the go. The machine is also dishwasher safe so you can clean it without any hassles. This is considerably more expensive compared to all the products on this list. Despite the high price, the glass can break very easily. There are also technical issues which can only be solved by calling their technical support. This product from Ovalware is actually an iced coffee maker but it also doubles as an iced tea maker. This has one of the highest capacities on the list with 1.5 liters with each brew. It is very flexible and you can brew both tea bags and loose tea leaves with this. If you’re feeling like the weather is too cold for iced tea, you can also make hot tea and coffee with this. It has a silicon seal so the lid is not just made of plastic. This allows fewer spills to happen. There are measurement labels so you won’t ever make mistakes with the amount of water needed for your recipes. The pour spout doesn’t work with the lid on. It has a filter but this isn’t enough to stop loose tea leaves from getting transferred to your cup. The flavor of the tea produced is not as great compared to tea with the other machines. 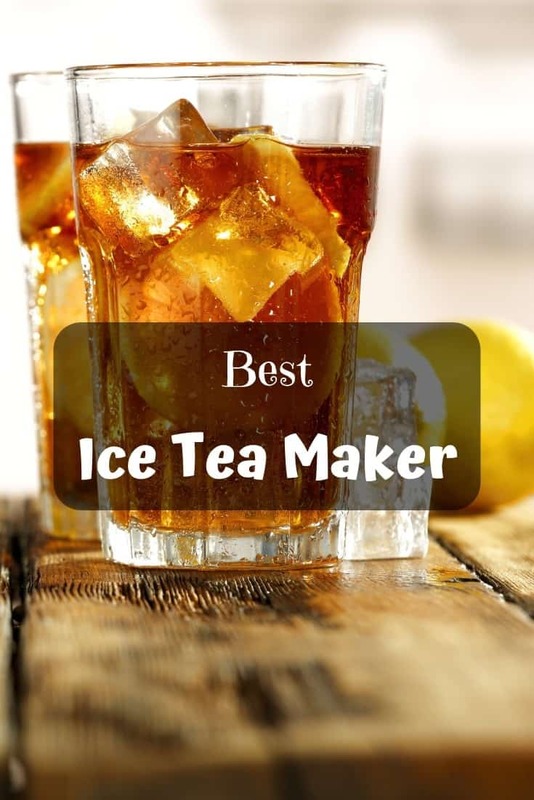 The material of your iced tea maker will greatly influence how long you’ll be able to use it. If the glass carafe is made of plastic then you would expect it to not be as well-made as a glass one. The lids and the machine itself are also some things that you should control for. Aside from durability, food safety also depends on the material of your machine. You should make sure that the plastic materials used, if any, are BPA free so that you won’t have to worry about harmful chemicals entering your body. The size of your maker depends on the number of people that you expect to serve. If you would only be using it for yourself, then getting a smaller one would be more logical especially if you have a small space on your countertop. However, if you are fond of parties or have a big family, you should get ones which have bigger capacities. Do take note that bigger capacities sometimes mean that the tea would be more diluted and that you would need for tea bags or tea leaves than usual. The durability of an iced tea maker can be seen on the materials used for it. Like what I have previously said, glass carafe is more durable than plastic ones. However, these do break when dropped so you should also take note of this. Aside from the carafe, you should also see to it that your lid is durable. Looking back at the iced tea makers I have had, I have always had problems with the lid since they were mostly made of just plastic. This caused a lot of spills especially since some of them don’t really stick to the glass body. Take note that the more durable lids would have silicon and this would help secure your tea. Multi-functionality is something I look for in all the products that I purchase. I make sure that it would be good for more than one function. It is usual to find tea makers which double as coffee makers. This would save you money and space if you buy something multi-functional. The multi-functionality of your iced tea maker can also be seen on whether or not you can make both hot and cold tea. This makes it flexible during whatever season you are in. Depending on the activities that you usually do, you might also prefer to get an iced tea maker which is portable so you can bring it with you wherever you go. Like all machines and products, you should always follow the instructions on how to use your iced tea maker. Following the instructions will keep your maker functioning like it should and will also not overwork it. It would also be best if you do not fill it with water beyond its capacity. 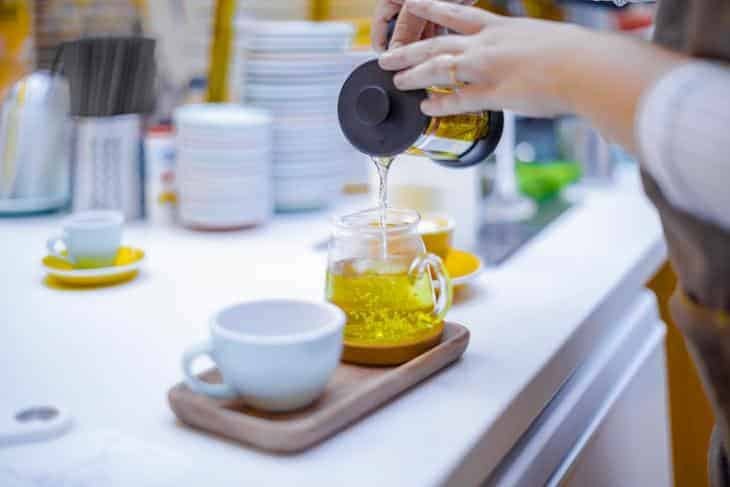 Over-filling your glass carafe won’t just dilute your tea, causing you to use up more tea leaves than necessary, but it also has the potential to overuse your machine causing it to deteriorate faster. Knowing how to properly clean your iced tea maker will also help you in ensuring that it won’t have any microorganism growing on it. This won’t just ensure that your maker won’t deteriorate but it will also keep you safe from ingesting bacteria or other foreign bodies that may have grown on your maker. You should also check first if it is dishwasher safe before putting it inside the dishwasher. How you store your iced tea maker when you’re not using it is also important. Most of the iced tea makers above have glass carafe so it’s ideal to store it in an area where it would not fall. You should also make sure that it’s inside a dry area since moisture might affect the technical parts of the maker. After trying out all these different iced tea makers, I would have to say that the one from Kona is my top choice. What I liked a lot about it is that it’s multi-functional, portable, and stylish. It’ll surely look good on your kitchen countertop like it does on mine. It’s also very comfortable to use and does not strain my hands when I pour tea out of it. I hope that this helped you in deciding which iced tea maker to get. Just remember to consider the totality of your maker and not just focus on one quality. If I missed out on your favorite or if you have other tips you want to share please comment them below. Until next time!